One of the things I miss the most about Paris (aside from avant-guarde fashion styles and Laduree macaroons) is Charles de Gaulle airport. Hundreds of destinations are easily accessible from Paris via direct flights at very accessible prices. Boston Logan Airport is a whole different story… With few international direct flights, trips could span 24+ hours with lengthy layovers. So when I saw the first Emirates ads grace the streets of Boston, I knew this was about to change the game. We snatched one of the first direct flights to Dubai at an amazing price and embarked on our first middle eastern adventure. I didn’t really have any expectations going in, as this was a very impulsive decision. Camels? 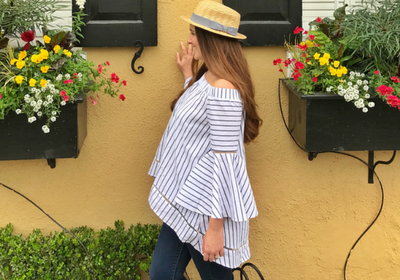 Strict outfit restrictions? No booze? Gold ATMs? 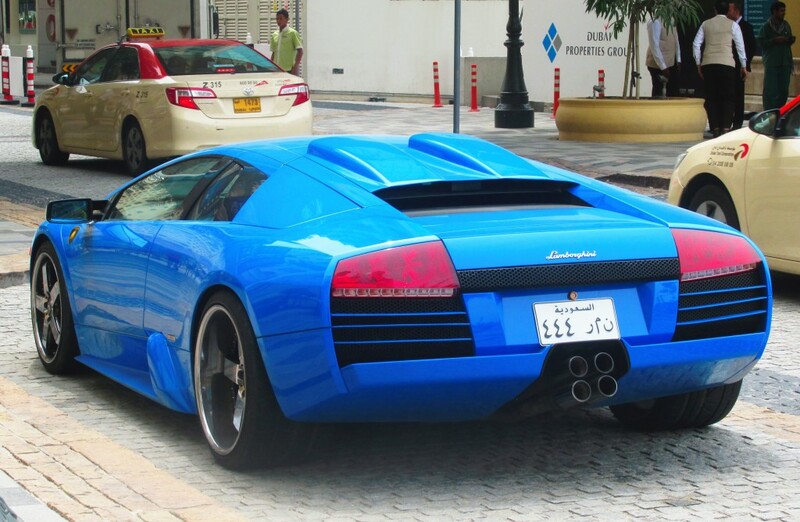 There are tons of stereotypes about Dubai, and turns out not all of them are true. 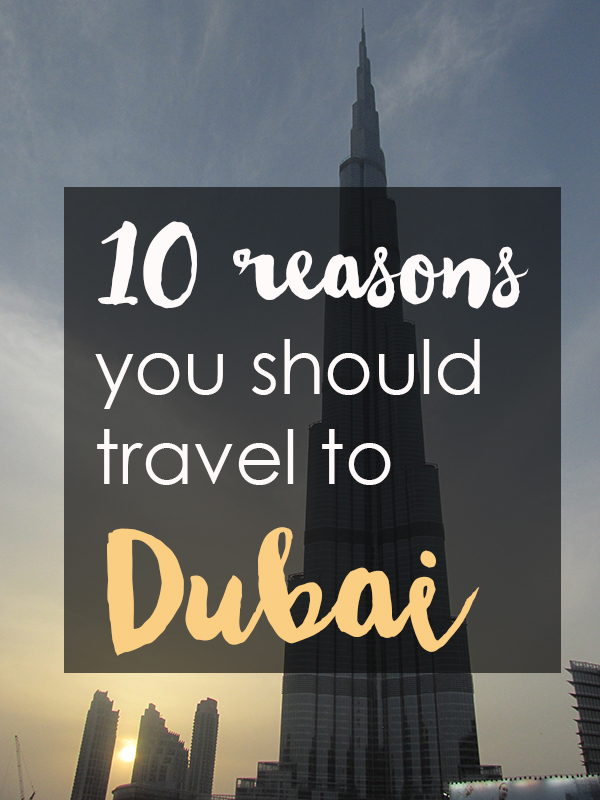 So here is my list of 10 reasons why you should visit Dubai! 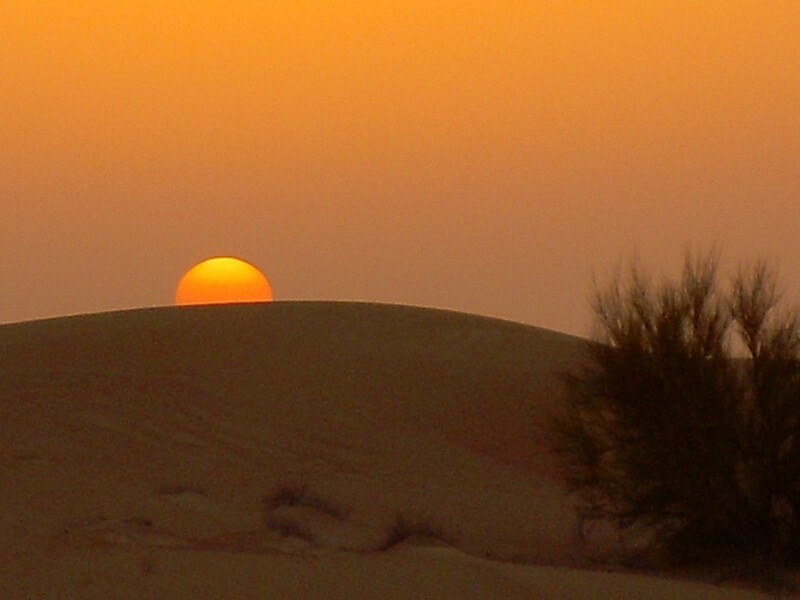 1.Dubai is a paradise for photographers. If you’re a city lover like me and enjoy urban landscapes and crazy skyscrapers then you will fall in love with Dubai. The majesty and grandeur of the city will literally take your breath away. But Dubai is much more than an urban jungle! For a list of the most Instagrammable spots in Dubai, check out The Flyaway Girl’s guide. Or at least as safe as it can get… In the current climate ,there are unfortunately very few middle eastern countries that you can travel to with peace of mind. We felt very safe in Dubai taking public transportation and walking around the city. 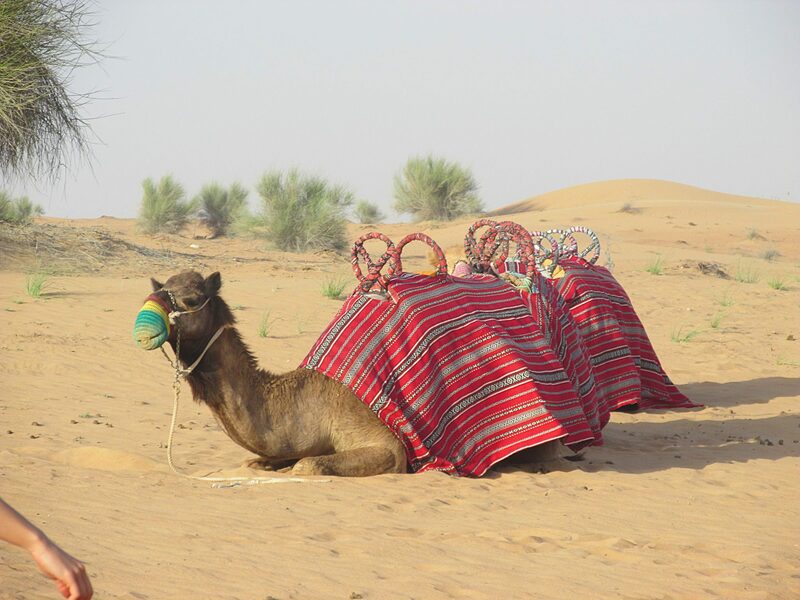 My favorite part of our trip to Dubai was our day in the Sahara desert. Riding old school jeeps over sand dunes and camels at sunset. Eating a delicious traditional meal in a Bedouin camp. The whole experience was totally awesome! 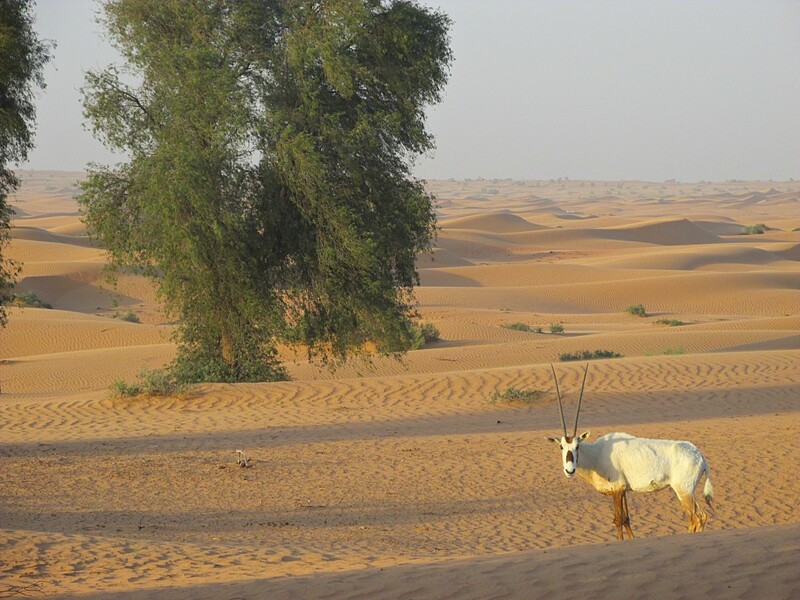 Dubai is also the perfect base to explore the region. From a road trip to Oman to a getaway in Sri Lanka or Egypt the options are endless. 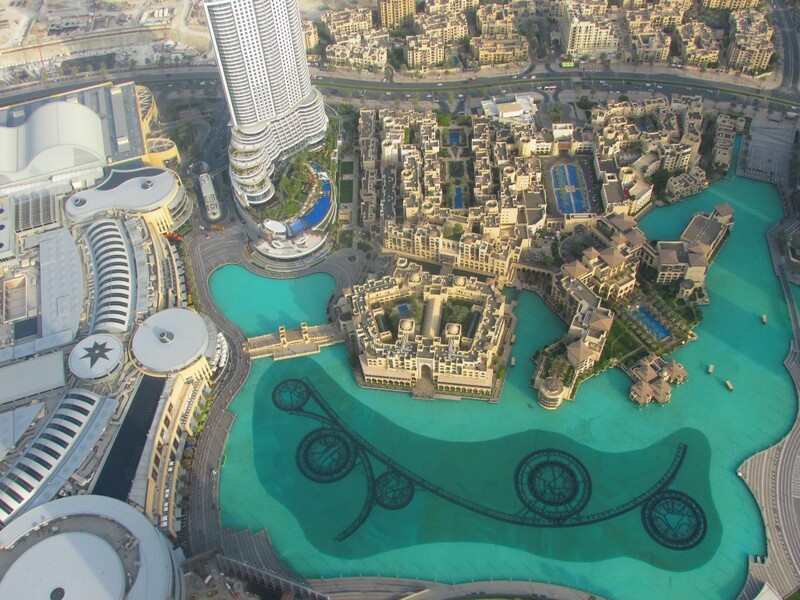 Read this guide to all the places to explore from Dubai ! 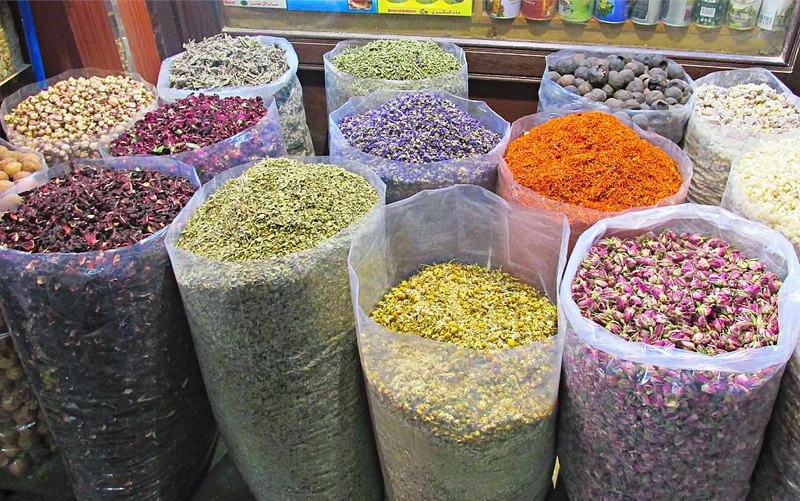 Cross the Dubai Creek to the Deira, and you will be transported into a different world. Fragrant and colorful spices sit next to shiny gold jewels and beautiful shisha pipes. Grab a tasty shawarma and soak in the charm of the old city. When we arrived in Dubai, we never even thought about spending time at the Aquarium. But after walking into the mall, we had to see what the hype was all about. We were left totally speechless. The Dubai aquarium is totally awesome. 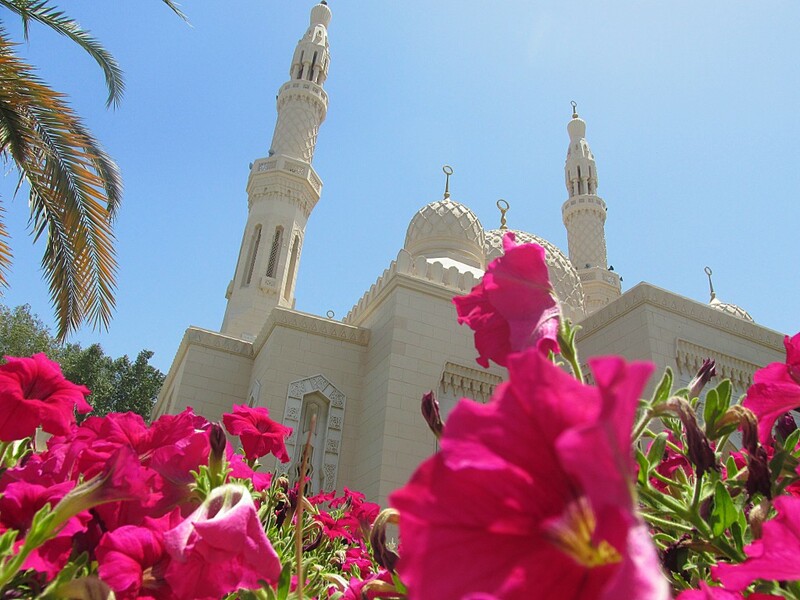 Abu Dhabu is a short bus ride away, and the Mosque is absolutely breathtaking. 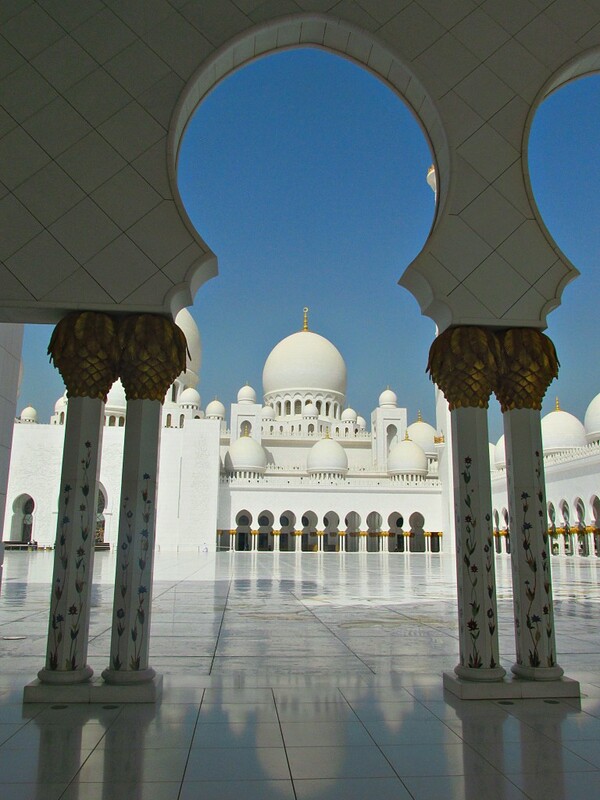 The Mosque itself is a reason to visit to Dubai and spend the day in Abu Dhabi. Dubai provides an amazing backdrop for sunsets, so we were ecstatic at the opportunities to take some great shots, even though we were faced with some challenges. With super tall buildings and rather flat desert landscapes, the key is to get creative with your angles. This is a bit of a sore spot for me… because I didn’t know about this until we got there, and didn’t get to play with the penguins because it was sold out. Now I understand that penguins are better off in their natural habitat, etc…. but as a person who is totally obsessed with penguins, I would have loved to be able to interact with them up close. The snow penguins at Ski Dubai is located in the Mall of the Emirates and it might be overpriced for what it is but at the end of the day it’s still pretty damn awesome. Dubai is home to incredible middle eastern cuisine, but the caveat is that you can literally find whatever your heart desires. Every cuisine, and virtually every chain restaurant from around the world is represented in Dubai. Craving frozen yogurt with a gazillion toppings? Laduree macaroons? A giant mezze platter? Check! 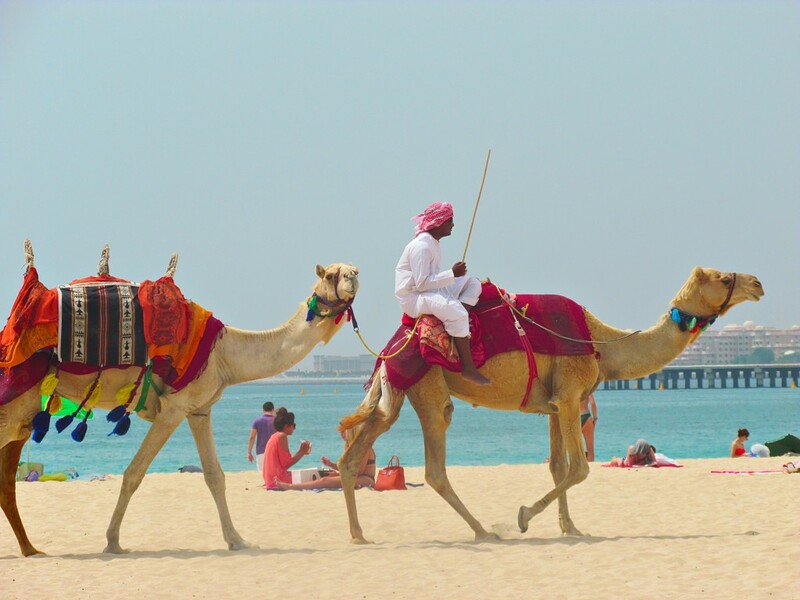 There are definitely a few things to know before you visit the UAE: the laws are different, and as a tourist you should adjust your behavior as a sign of respect for the local customs. 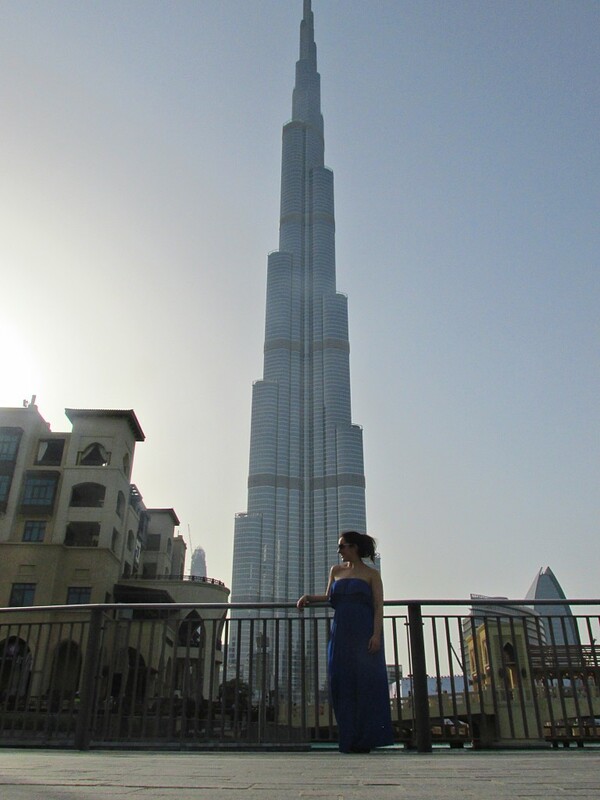 But I also found Dubai to be an incredibly enriching experience because the city is a world of contrasts. Emirati in traditional dress and women in habayas frequent the same restaurants as expats grabbing a drink on their way to the club. Modernity and tradition live side by side. It is true that Dubai is the land of excess, but if you look past the sports car and the gold ATMs, you will find the true beauty of this magical destination. Have you been to Dubai? Did you think it was worth a visit? This was great! I’ve become really interested in Dubai lately. Next month I’ll be flying from the US to South Korea and I’m considering choosing the flight with a 12+ hour layover in Dubai! What are some things you would recommend doing/seeing if I only had a day?